In the beginning, tubular tyres were only known from the road bike sector. Cyclocrossers also like to use them. In the MTB sector, the manufacturer Tufo was a pioneer who put the tubular tyre for non-road bikers on the market. 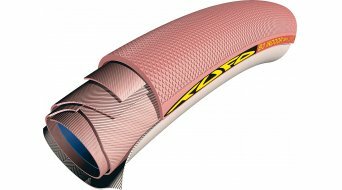 Tubular means that the tube and tyre are sewn into one unit and the tyre as a whole is then glued to rims especially provided for this purpose. An adhesive tyre so to speak. 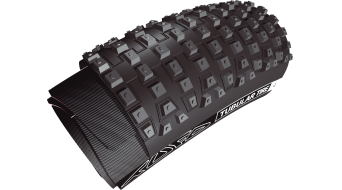 The advantages of tubular tyres speak for themselves: The flexing characteristics are better. Due to the flat rim bed (teh rim is not "hooked"), it is a fact that the tubular tyres are not only less susceptible to breakdowns but the tires can also not hop off the rim since they are glued to the rim. So you can roll slowly but safely to the next tech zone or halt. 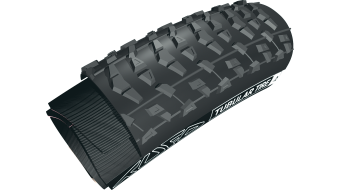 Although the subsequent complete exchange of the tyre will take a little more time due to the adhesion. 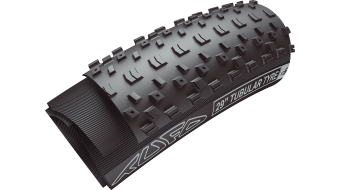 But especially in the off-road sector, the puncture resistance plays a large roll, and that is why the tubular tyres make a lot of sense for MTBs. Some bikers swear by the better gripping conditions, which ensue due to the lower air pressure, which can be ridden problem-free. The much more important arguments for many MTB bikers come from another corner altogether: The rim is not hooked, the tyre doesn't have any bulge, and there is no need for a rim tape. Arguments for light construction fans, who'd love to save weight on the wheels! Since if you reduce the rotating mass on the wheels, the drive will benefit. 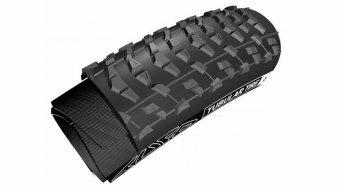 So why is it that the tubular tyre on the mountain bike does not "start moving"? Maybe it's a matter of taste and the disadvantages of the tubular tyres prevail here in the eyes of the MTB faction: On the one hand, the price has to be mentioned, since tubular tyre systems are more expensive to buy than common tyres. On the other hand, the installation is a minus for many bikers since the adhesive mounting is quite elaborate. We wonder whether this tyre variant remains reserved for the road bike sports, the track race sports and the cyclocross, where they have enjoyed great popularity so far. 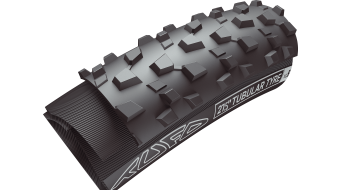 Discover the tubular tyres on the MTB for yourself; besides the pioneer Tufo, we also offer Schwalbe tubular tyres in our selection.